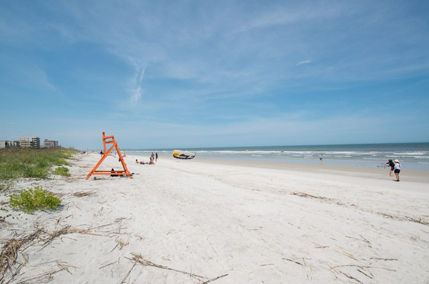 The Acquilus buildings are close to the action in Jacksonville Beach. There are two buildings: Acquilus I is the original building built in 2005. It is a little further north at 1201 1st St N between 8th Avenue North and 9th Avenue North. Acquilus II is located a little further north at 917 1st St N between 11th Avenue North and 12th Avenue North. Acquilus I is a 12 floor 48 unit building and Acquilus II is a 12 floor, 45 unit building. Both have pools as well as a gym.